Add some glamour to your persona donning this blue - red lehenga choli. 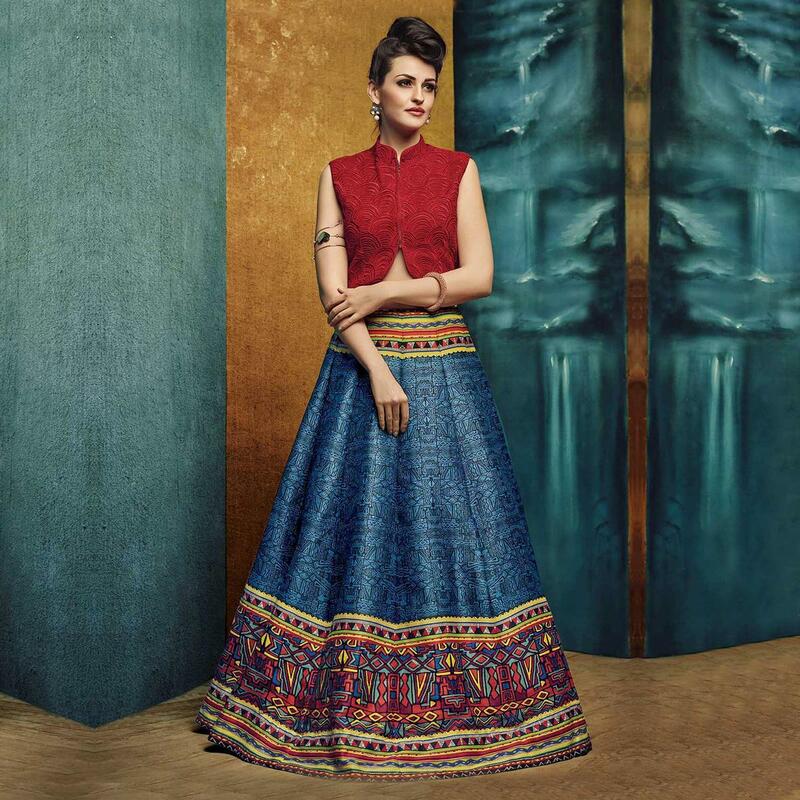 This stitched outfit look is made awesome with its digital print work done all over the lehenga & fish scale pattern embroidered work done over the silk blouse. 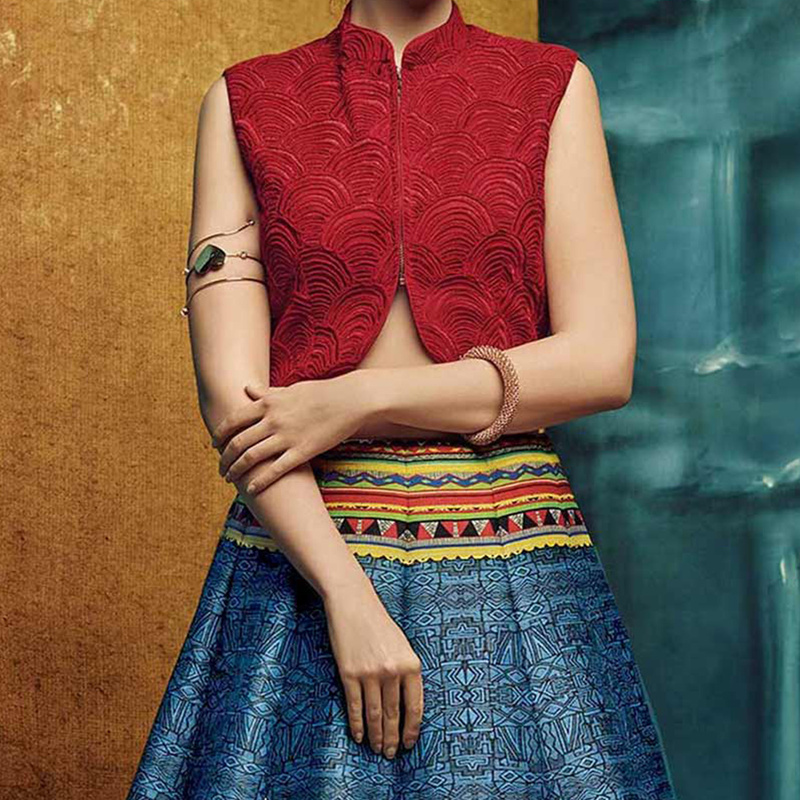 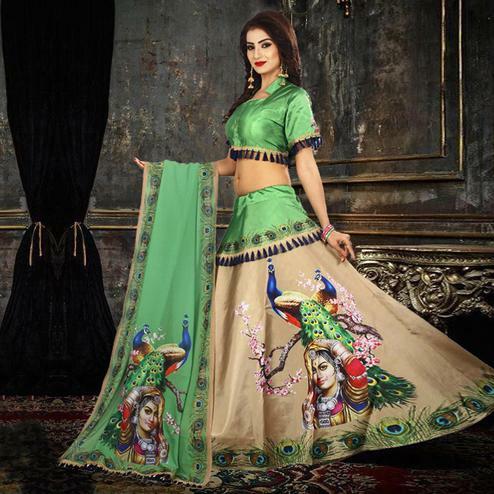 Matching dupatta comes along with this lehenga. 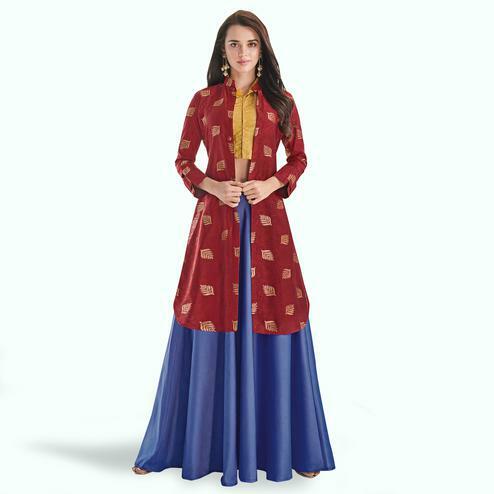 It's the best dress to wear for parties & special occasions.